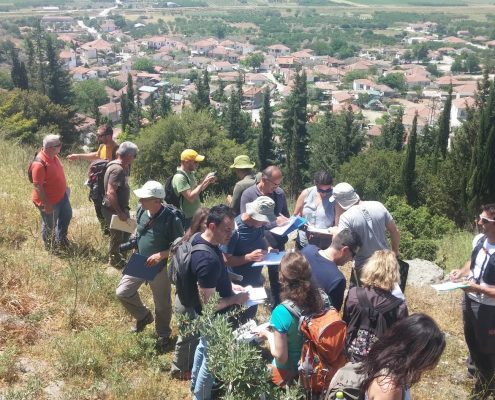 During the first two weeks of May 2017 the Andros Routes team “transported” the paths of Andros to Thessaly, Skiathos, Syros and Crete. 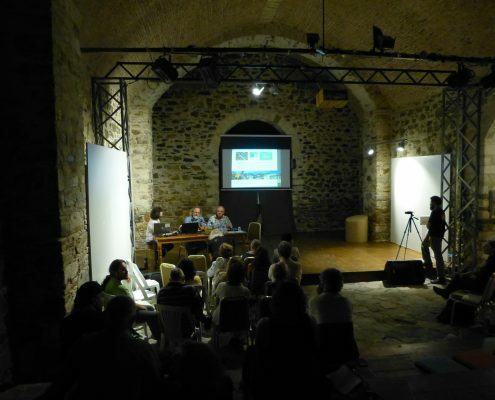 Sharing our experience with and learning from others is a core part of our philosophy and we were delighted to be able to present our approach to the preservation and enhancement of the Andros path network in Quality Certification training seminars in Thessaly and Skiathos, at a conference with the University of Crete in Rethymno as well as at a Civil Union event in northern Syros. 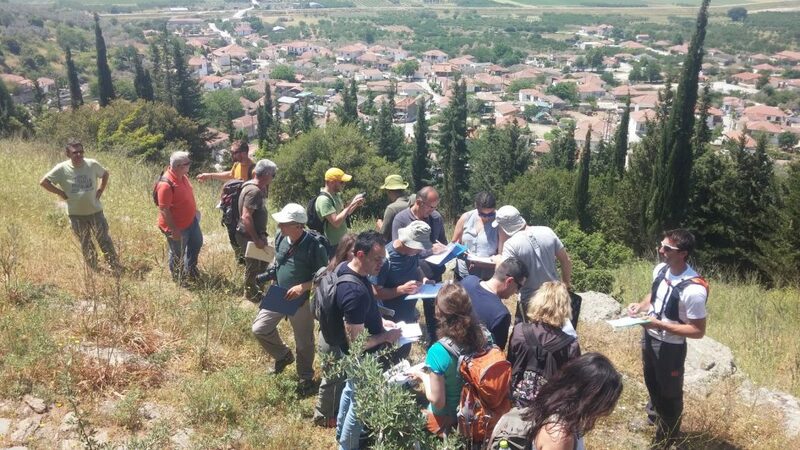 The weekend of 6-7 May 2017 we participated in a training seminar for representatives of local authorities and tourism professionals to prepare for the European Hiking Route Certification in the Thessaly Region. 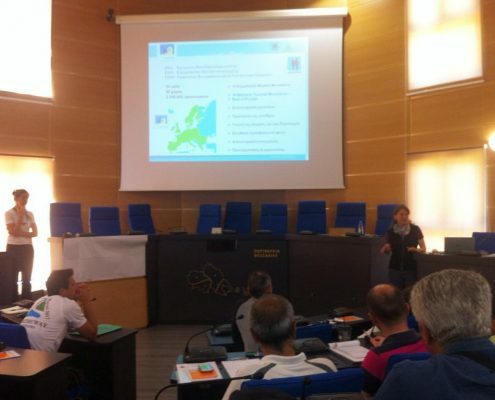 The seminar was organised by the Regional Government of Thessaly and was conducted in Larissa. 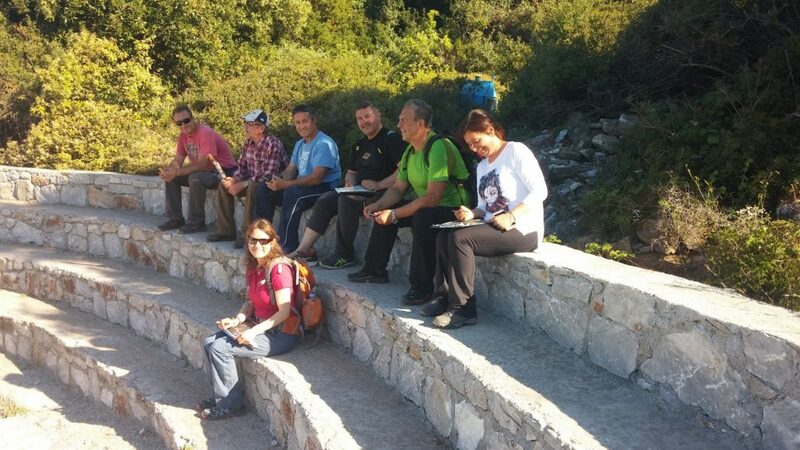 It was attended by representatives of mountaineering and hiking associations, elected officials, local government employees and professional mountain guides. 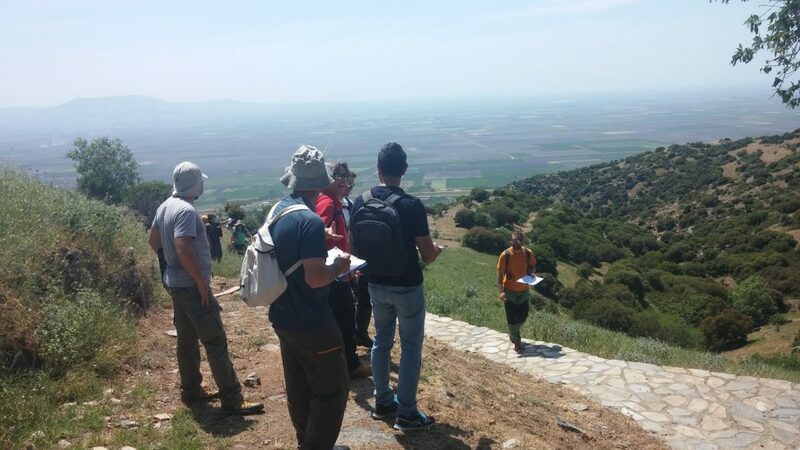 Practical sessions were conducted on hiking paths below the magnificent mountains of Olympus and Kissavos on the outskirts of Larissa. 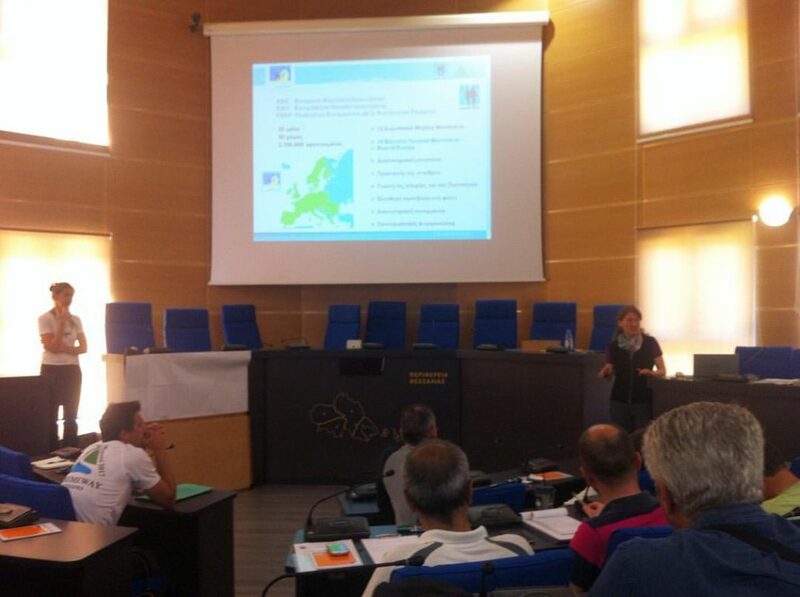 On 9-10 May 2017 we were invited to a seminar to prepare for the European Hiking Route Certification. 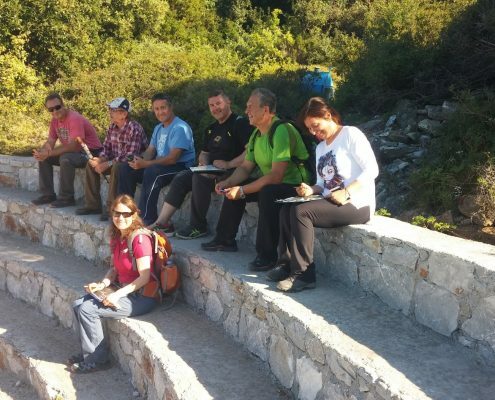 The seminar was organized by group of residents of Skiathos who have maintained trails across the island for some years in cooperation with the Skiathos Municipality. 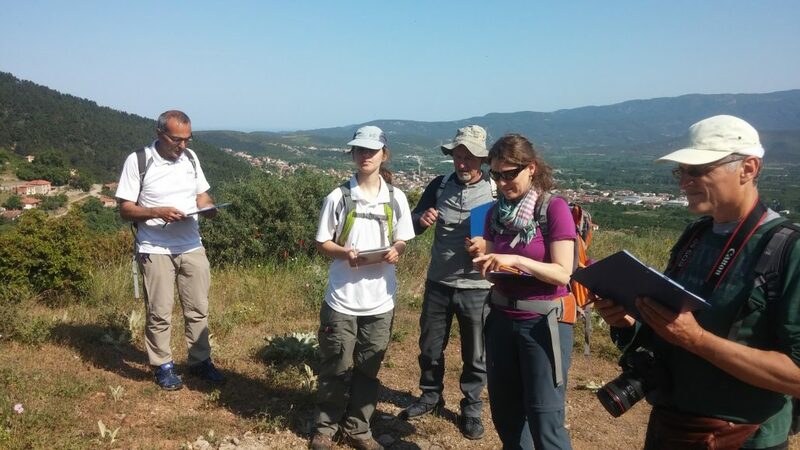 The seminar was attended by members of the local volunteer group and we spent time outdoors auditing hiking routes in north of this beautiful wooded island. 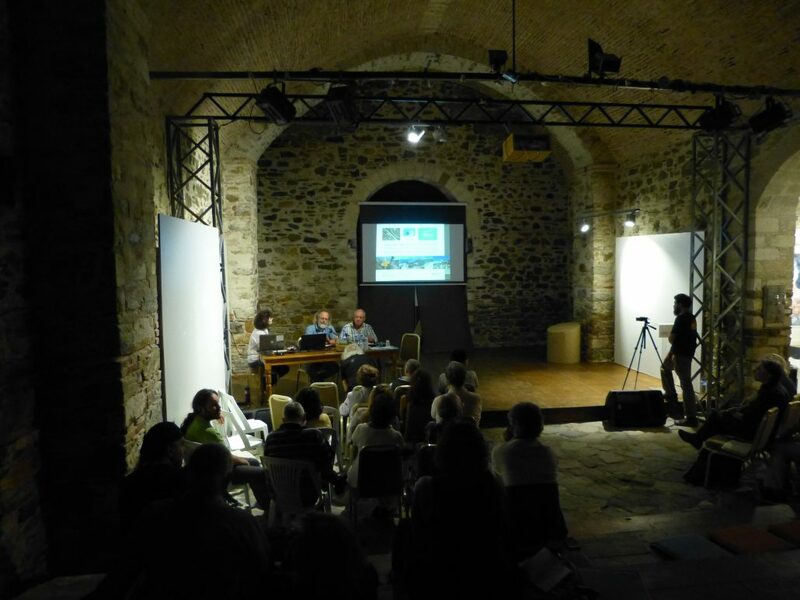 On Friday 12 May 2017 we were invited by the Civil Union of Ano Meria, Syros to present the work of Andros Routes as part of the multidisciplinary conference to promote the area of ​​Ano Meria. 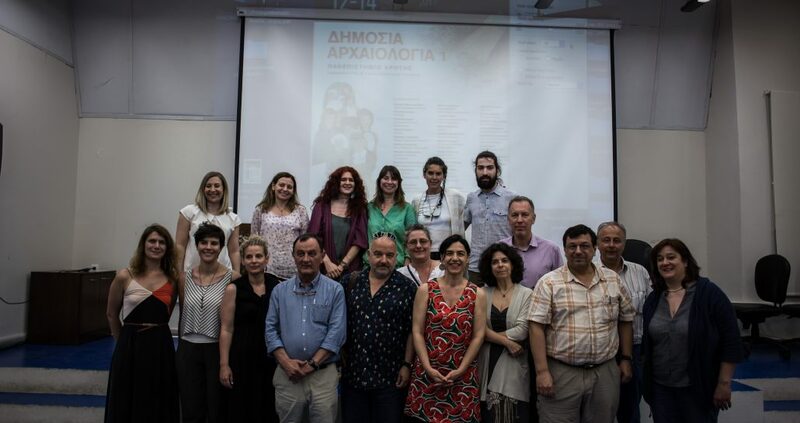 The weekend of 13-14 May 2017 we were invited to deliver a presentation on the work of Andros Routes at a conference in the University of Crete on Public Archaeology. 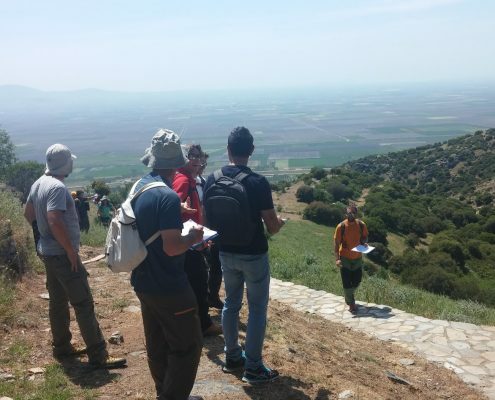 At the conference we were able to share ideas with researchers, students, professionals, representatives of associations from various parts of Greece and we had an interesting guided tour of the archaeological site and the Museum of Eleftherna. Over these first weeks of May we were privileged to meet some with remarkable people both old friends and new acquaintances. 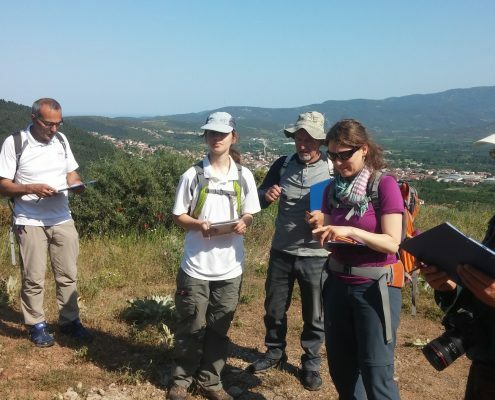 For us the benefits of such involvement is invaluable. 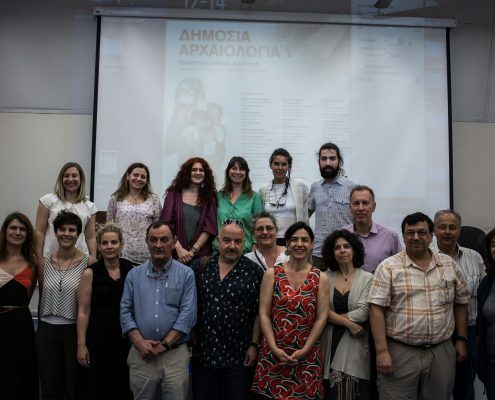 Not only were we able to share the richness of our island of Andros but we were able to network with institutions, researchers, professionals, who share common concerns, visions, in the fields of wildlife protection, sustainable development and cultural research. Many thanks to the following for their kind invitations and hospitality — Thessaly Region, the Municipality of Skiathos, The Civil Union of Meria Ano, Syros and the University of Crete. We hope to see you on Andros soon …!